Place: Dong Ding, Feng Huang Tsun at 700 meters height. 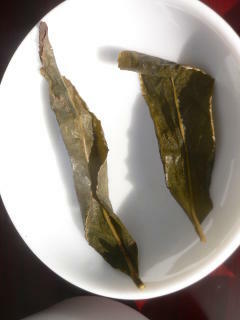 Color of Dry leaves: Shiny dark green. Color of tea: Golden yellow. Clarity: Bright. Normal residue level. Aspect of open leaves: Complete leaves. Fermentation a little below average. Hand picked. Dry leaves: Green cut grass. Bitter/acid: A little acidity in the beginning. Feeling in the throat: Dry, pleasant. Reminds peach. Other remarks: I eventually found an oolong I like this spring 2005! And what a good one! It wasn't that easy with all the snow that fell at the end of winter, just before the spring harvest, in the Central mountains of Taiwan. 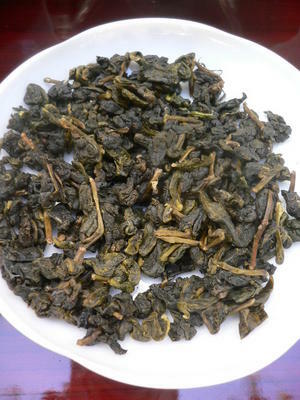 That's probably why this is a Dong Ding oolong, located at just 700 meters below sea level. It's not a high mountain tea. They start around 1000 meters altitude. 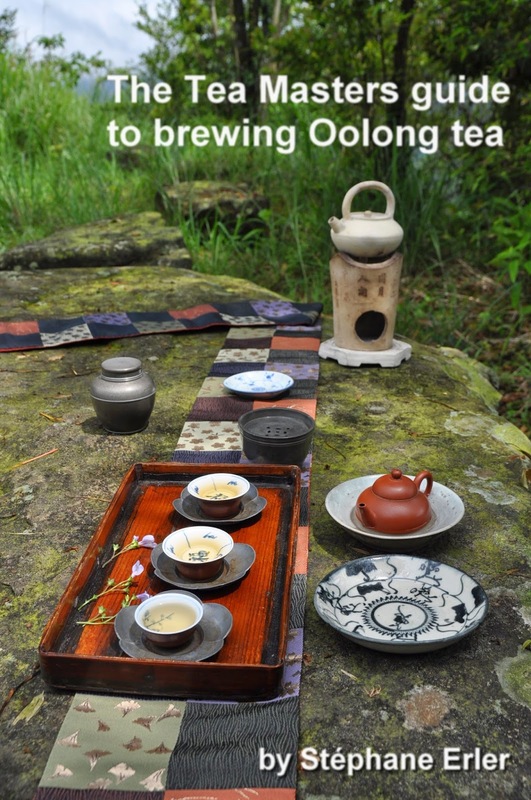 The Dong Ding oolong, especially the Luan ze kind, is the more traditionnal oolong, the one professionals, tea masters appreciate most. One seeks the smooth feeling it leaves in the mouth and throat, and not so much the flowery, fresh notes that are one finds in jin xuan oolong, high mountain oolong and baozhong. Like the previous Luan ze oolong, this one will perform even better in an yixing teapot. I drink this tea on Saturday nights. Its cha chi is so strong that it keeps me happily awake to enjoy long conversations with friends. 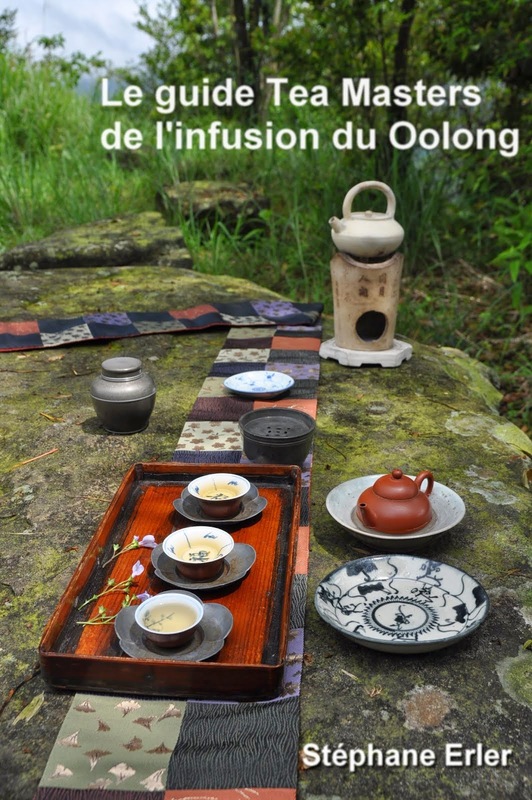 I am quite relieved I found this real and excellent Dong Ding Luan ze oolong for my readers to taste classic Taiwan oolong.